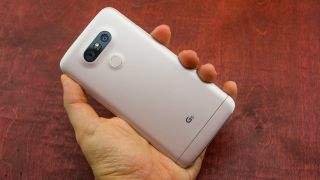 LG is known for making interesting and ambitious phones, but it seems the LG G5 has performed too poorly for some within the brand, with a 'shake-up' seeing big changes at the top of the company's mobile division. As a result of the G5 not managing to hit the expected sales level, the company has sacked some senior executives from its mobile division, according to the Korea Times. "Friday's announcement is because LG Electronics' latest flagship G5 smartphone failed to generate sales" LG told the paper. But as well as replacing certain executives it sounds like LG is shaking up its whole mobile division, as it also claims that "the overseas business unit at the mobile division will take a bigger role." Whether these changes will lead to the success LG hopes for remains to be seen, but it's clear something needed to be done, with the report noting that market research firms expect LG's mobile business to report an operating loss of around 100 billion won (roughly £66 million / US$86 million) in the second quarter of the year. Shipments of the LG G5 in that quarter are estimated to be just 2.2 million, much lower than the 3 million unit original expectation. Pulling itself out of this hole could take more than just a reshuffling of its mobile business though. The LG G5 was only a pretty good handset; while the screen, camera and performance all impressed, the headline modular components and build quality were rather underwhelming. Its failure to sell is likely as much to do with the rise of low cost rivals from the likes of Huawei with its impressive Huawei P9 handset as it is with any failure of the phone itself. There's certainly room for improvement on the inevitable LG G6, but the company will probably have to change more than just the hardware to increase its market share.